National Relocation offers mortgage, real estate, relocation news plus market updates across the country from Realtors and real estate agents. One of the areas hardest hit by the real estate collapse was downtown Wilmington. A major employer, PPD, gambled and built their world headquarters downtown. This is a truly stunning building on the riverfront, however additional development by other companies and business did not come to fruition. Planned hotels and condo high rises did not materialize. Condos and homes were built in excess, and as result many foreclosures ensued. The past 18 months are showing signs of life downtown. While always beautiful and fun to visit (it has some amazing restaurants and shopping), downtown is beginning to see younger buyers infiltrate the market, in addition to those buying second homes. 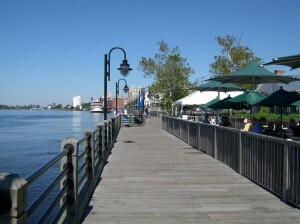 According to the Wilmington Association of REALTORS, from August 2010 to August 2011, sales in Wilmington have increased 13%. The average sales price has dropped slightly, from $234,262 in August 2010, to $233,469 in August of 2011. Stats show sales prices in Wilmington real estate market dropped on average 25% from their market highs in 2006. Established communities like Forest Hills and Glen Meade were not as affected as much as these are much more established neighborhoods, and are also located close to the hospital and medical parks, which serve as a staple of community employment. Lower priced condos and starter homes near UNCW also fared well, as the university has a constant flow of new students, faculty and support staff. Condos near the university in the $60,000 - $120,000 range remain attractive investments. 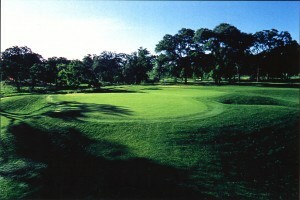 Landfall Country Club, a popular gate community, has seen its share of foreclosures. Many “spec” homes were built in Landfall, and as a result of excess inventory and pricing declines, some of these have been foreclosed on. The Hawaii real estate market, which includes the Outer Islands in addition to the larger portion of the market on Oahu, continues to face declining home sales and prices despite suggestions that the worst part of the downturn may have past. All of the islands, especially Oahu real estate listings, have a shortage of inventory, which should boost demand for properties throughout Hawaii. Essentially, since there are fewer homes available and no significant construction backlog, median price should begin to rise in reaction to a reduced supply. Similarly, Hawaii’s relatively low unemployment rate is starting to improve, and interest rates throughout the country continue to be among the lowest in four decades. Hawaii was not affected as strongly by the initial downturn of the housing market, largely because there were not a significant quantity of subprime properties in the Islands compared to other states such as Nevada and Arizona. However, the increased uncertainty introduced by the recent disaster in Japan may adversely affect the local tourism market, which comprises a majority of the Hawaiian economy. In terms of an overall cycle, it appears that the Hawaii housing market is in a stabilizing phase, and will not change substantially for at least several months. In the short run, Hawaii homes for sale were sold in a lower volume and for a lower price. There were less than two hundred and fifty single family detached home sales on Oahu in the month of March, marking a decline of about two and a half percent from year ago levels. There were even fewer condominium sales - about three hundred and thirty as opposed to three hundred and sixty in March 2010. The single family homes were, on average, sold for approximately nine percent less than in March 2010, while the condominiums were purchased for about one and a half percent more. Both home and condominium median price remain well off of their pre-recession peaks. Maui showed a more mixed picture in March 2011, marking a slight uptick in home sales and a decrease in median home price as well as a flat number of condo sales and a dramatic plunge in condo median price. The Saratoga housing market, which is found within the larger San Francisco Bay real estate market, saw flat levels of home sales in the most recent tracking periods, even as fears of a double-dip housing recession increased. According to statistics compiled by MDA DataQuick, there were approximately the same number of home sales in the Bay Area in November compared to October, and considerably fewer than during the same time last year. The real estate tracking service reported a total of 6,111 homes and condominiums sold in November 2010, including properties from all nine counties of the Bay Area. This represented a negligible decrease of less than one-quarter of one percent compared to October 2010, as well as a decrease of more than eleven percent compared to November 2009. The fact that there was a decrease is unsurprising, as a seasonal decrease in sales is normal between October and November. In terms of median sales price, the Bay Area saw a decrease compared to both month-ago and year-ago levels. MDA DataQuick reported a median price of $380,000 in November 2010, compared to $383,000 in October 2010 and $387,000 in November 2009. This is substantially lower than the peak of the current cycle, and about ninety thousand dollars higher than the trough of the cycle. On the bright side, some experts believe that demand in the market is accumulating, suggesting that there is a chance the market will avoid a double-dip. One national report has suggested that there will be a double dip in the national real estate market, although some local Saratoga real estate experts believe that the local market will fare better. The Case-Shiller housing index, which analyzes twenty metropolitan areas around the nation, showed month-over-month declines in every single one of the areas surveyed. Although the Case-Shiller index does lag several weeks behind the market, it is one of the most thorough measures of the market’s health. San Francisco was one of only four metropolitan areas to see a year-over-year increase. The overall index remains more than four percent above the lowest part of the market, but almost thirty percent lower than the peak of the market. The Roseville housing market, a small component of the larger Sacramento area real estate market, saw a higher proportion of high-end foreclosures as well as a decline in the median sales price of local properties. According to statistics compiled by the Sacramento Bee, more exclusive and expensive homes and estates are being foreclosed upon. Although the foreclosure problem in the Sacramento area is often associated with the lower end of the housing market, figures from Foreclosures.com and the Bee indicate that many wealthy communities are actually seeing more foreclosures than their lower and middle tier counterparts. Throughout the Sacramento area, there have been more than five hundred mortgage default notices delivered to properties valued at more than one million dollars since the housing crisis began in 2007. The cumulative value of the loans which were defaulted upon is estimated at approximately seven hundred fifty million dollars. It is important to note, however, that all mortgage defaults result in a foreclosure auction. As often as not, banks reach a settlement with the homeowner, or the property is sold in a so-called “short sale” before the foreclosures process is completed. The average sales price of a Roseville or Sacramento home for sale fell for the fourth consecutive month in November 2010, according to the Sacramento Business Journal. According to statistics compiled by the California Association of Realtors, the median home price for the four counties in the Sacramento area fell by just under eight percent compared to year-ago levels. The average price declined from $188,480 in November 2009 to $173,870 in November 2010. This also represented a decrease of about three and a half percent from month-ago levels. The number of home sales in the Sacramento area also declined compared to year ago levels, dropping one and a half percent. This figure did, however, increase relative to the number of sales in October 2010. With the most recent decline in median price, the Sacramento area real estate market is perilously close to falling into a “double dip,” or falling below the lowest point of the market’s price fluctuations. The Laguna Beach real estate market, which consistently ranks among the most expensive and exclusive components of the larger Orange County housing market, saw some encouraging figures in the most recent tracking periods even as the rest of the region saw some difficulties. According to statistics provided by MDA DataQuick, Laguna Beach saw an increase in the number of properties sold relative to year-ago levels for the period ending on December 3, 2010. For the twenty-two days preceding that date, Laguna Beach saw eight percent more homes sold than were sold over the same period last year. However, the Orange County Register reported that the county and sub-region that includes Laguna Beach saw an overall decrease in sales volume for the last tracking period before the New Year. There were a total of 2,591 home sales for the entire Orange County over the same period that saw an eight percent rise for Laguna Beach homes. The cumulative Orange County statistic represented a decrease of nearly eleven percent year-over-year despite the higher number of sales in Laguna Beach. Laguna Beach real estate properties were among the most expensive in the entire state of California, according to the California Association of Realtors and OC Metro. 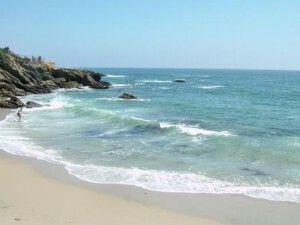 Laguna Beach was the second most expensive city in the Golden State during the month of November 2010, with an average sales price of $1.10 million. Laguna Beach’s median price is substantially higher than Orange County overall, which has an average price of $502,107. In fact, according to statistics provided by MDA DataQuick, the median sales price in Orange County was considerably lower than year-ago levels and drastically lower than the peak of the market, which was reached in June of 2007. However, the market has remained above the lowest part of the market, raising optimism that the Orange County market may avoid a double dip in upcoming months. Laguna Beach in particular will almost certainly avoid a double dip. Orange County, in turn has a much higher average price than California as a whole, which recorded a median price of less than $300,000 in November 2010. 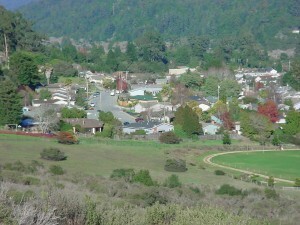 The Soquel real estate market, found in the midst of Santa Cruz County, saw a decrease in the number of home and condo sales in the month of November, as the commercial sector continued to suffer from the adverse effects of the recession. According to a report from the Santa Cruz Sentinel, it remains unclear whether or not the decline in sales is a consistent trend or merely the product of a typical seasonal decline. A local expert who compiles the statistics for the local market indicated that there were a total of 119 single family home sales conducted in November 2010. This represents a fifteen percent decrease from November 2009, when the federal housing tax credit was just expiring. The same statistics indicated that the median sales price in Santa Cruz County was $536,000, representing a decrease of about $14,000 from $550,000 just a year ago. This is somewhat surprising, since interest rates in the area are still quite low, and the average sales price is still about twenty-five percent below the peak of the market about three years ago. There are some signs that prices in the region might remain relatively stable, including the unsold inventory index, which is constant at seven and a half months. Unfortunately, the rate of foreclosure in Santa Cruz County remained extremely high, pacing to exceed the record levels set this past year. There were 700 properties purchased at foreclosure auctions in November 2010, compared to less than 650 sold a year ago. Soquel homes and condos were not the only sector of the market adversely impacted by the economic recession. According to the San Jose Mercury News, there were substantially fewer small business loans approved in recent months relative to the peak of the market. The California Reinvestment Coalition found that the number of loans distributed by banks in California decreased by more than sixty percent between 2007 and 2009. Santa Cruz County saw much of the same problem, meaning that many small businesses have been unable to secure credit and even been driven out of business. This in turn has slowed job recovery and arguably contributed to continued difficulties in the housing market. The Redwood City housing market, part of the larger San Francisco real estate market, saw a flat number of home sales as well as a decrease in the median sales price during the most recent tracking periods. According to statistics provided by MDA DataQuick and reported by DQ News, November 2010 saw year-over-year and month-over-month decreases in average sales price compared to November 2009 and October 2010, respectively. The figures provided indicated that there were a grand total of 6,111 properties sold during the month of November, marking a negligible decrease of less than one-quarter of one percent from October 2010 and a more substantial fall of about eleven percent from November 2009. This unimpressive performance can be attributed at least partially to a seasonal decline in housing sales - sales usually decline by a little less than ten percent between October and November. Compared to other years though, sales in November, October, September, and even August have been between twenty-three and thirty-two percent off from their seasonal averages. In terms of the mixture of properties on the market, the month of November saw decreased activity in the upper echelons of the housing market, while the lower two thirds of the market remained more constant compared to year-ago and month-ago levels. The median sales price of a Redwood City home, as well as most San Francisco homes, decreased in the month of November. According to statistics provided by MDA DataQuick and reported by the San Jose Mercury News, San Mateo County saw a significant decrease in average sales price in the most recent tracking period. In San Mateo County (Redwood City is the county seat), the median sales price was $617,500, substantially higher than the rest of the state and much of the Bay Area, but still considerably lower than the peak of the market. San Mateo saw a year-over-year price decrease of just less than four percent from November 2009. 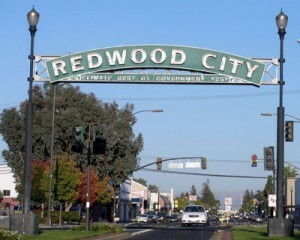 Interestingly, one local expert noted that the most highly priced sections of the Redwood City real estate market actually gained traction over the last few months, although he cautioned that it was too early to label it as a consistent or strong trend. The Dana Point real estate market, which is part of the larger Orange County, California housing market, saw some negative news in recent weeks. According to statistics reported by the Orange County Register, the number of homes for sale in the region saw a drop in available properties during the last few weeks of 2010. Over the two final weeks of December 2010, there were more than two hundred fewer homes on the Orange County real estate market, reaching a point slightly below ten thousand properties for the first time in more than a year and a half. The most recent figure is 9,987 properties, representing a decrease of about sixteen percent from the highest quantity of inventory, which was seen in September 2010. Compared to the same time last year, however, there were 2,694 fewer properties on the market. Calculated in terms of time, inventory currently stands at just over five months, meaning that it would take about five months for all currently available properties to be purchased given the current rate of home sales. This is a significantly longer period than two weeks and a year ago, although it is shorter than the inventory period seen two years ago. Unsurprisingly, the same set of statistics indicated that high-end homes, which are prevalent on Orange County, spent a substantially longer period of time on the market compared to middle and lower tier properties. According to the Orange County Business Journal, the median sales price of Dana Point homes for sale crossed the $500,000 threshold in the month of November 2010. Despite a disappointing sales rate, the average sales price of a pre-existing home sale saw a median price of $502,170. That number represented a nearly three percent increase from October of 2010 and a slightly less substantial increase from November 2009. Prices in Orange County have been around the $500,000 mark for several months, and have remained considerably depressed since the peak of the market, which was achieved before the economic recession began. Orange County’s median price was still substantially higher than the rest of the Golden State, by more than $200,000. The Lihue real estate market continues to suffer from depressed median prices although the number of home sales rose during the last fiscal year. 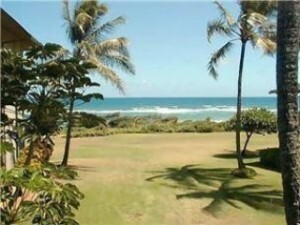 According to figures from the Hawaii Information Service, there were a total of forty-six single family properties sold on the island of Kauai in December 2010, an increase of slightly more than twenty percent from December 2009. During the same time last year, there were only thirty-eight single family homes sold on the Garden Island. In contrast, there were twenty-two condominiums sold on Kauai, a rise of more than thirty-seven percent from December 2009. There were only sixteen condos sold on Kauai during that period, although the federal housing tax credit was still in effect that month. According to statistics reported by Pacific Business News, the median price of a single family property in December 2010 was $509,500, a drop of more than six percent from December 2009. In December 2009, the average price of a home on Kauai was $545,000. Condominiums saw a median sales price of $255,000, a drop of nearly one third from the $370,000 reported in December 2009. Both figures, however, remain substantially lower than the peak prices achieved before the collapse of the real estate market. The average sales price of a Kauai home for sale barely increased from 2009 to 2010, which was one of the only bright spots in the neighbor island real estate market. Although the peak of the market saw median single family home prices of $675,000 in 2006, 2009 saw the region edge back upwards slightly. In 2008, the median price was $461,500, while in 2009 the average sales price was $475,000. Condominiums saw a yearly decrease in sales price during 2009, falling to $344,500 from $390,000 in 2008. One local economist suggested that this decline can be at least partially attributed to the higher proportion of investors relative to bona fide residents who purchased properties on the Outer Islands. In other words, the extremes of the housing market saw the most activity, while the central part of the market failed to see much activity. On the bright side, the same expert suggested that the market may finally be reaching its bottom. 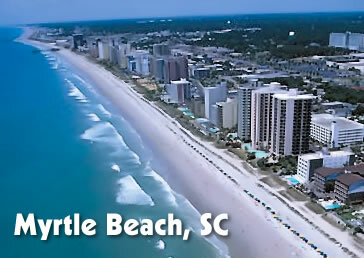 The Myrtle Beach real estate market had an oval improvement in 2010. The number of sales in 2010 were drastically up and the declining prices seemed to be slowing. SFR sales were up over in 2010 by 12 percent compared to 2009. Myrtle Beach condo sales rose a whopping 21 percent compared to 2009 according to the multiple listing service. The end of 2010 had slowed a bit. Sales were down in October and November compared to the same months in 2009. Myrtle Beach condo sales were up in December compared to the same month in 2009. According to Greg Harrelson in the Sun News article. Harrelson Said “the increase in sales was in part because buyers believe there are a lot of good properties at good values in Myrtle Beach." Harrelson has reported to us that his very popular Myrtle Beach real estate site has seen a huge increase in traffic and users signing up for daily email alerts of new listings. These are all great signs that we are near the bottom and 2011 should be even better than 2010.